You can earn 850 yards with this purchase! With improved launch control and flight apex, the JPX 919 Hot Metal series is made with highly resilient material allows for a new multi-thickness face and impressive ball speed and feel. 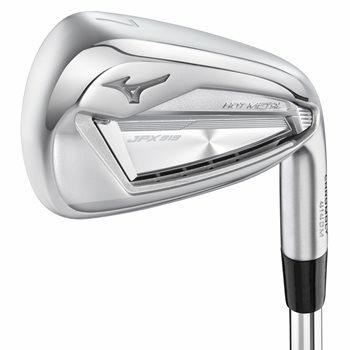 The high strength Chromoly 4140M steel and seamless cup face construction creates the highest ball speed of any Mizuno iron. The new frame is designed for the greatest stability, producing accurate ball control and landing angles.